Hanging brides by definition are dangerous and amazing at the same time. Our land is punctuated with huge ravines, mountains, valleys, raging rivers and glaciers. Traversing over such a tumultuous terrain with a lack of proper infrastructure is bound to be dangerous. But we make do. If you’re an adventure junkie but haven’t taken a road trip across Pakistan yet, this might just be what you need to finally get up and make a plan. 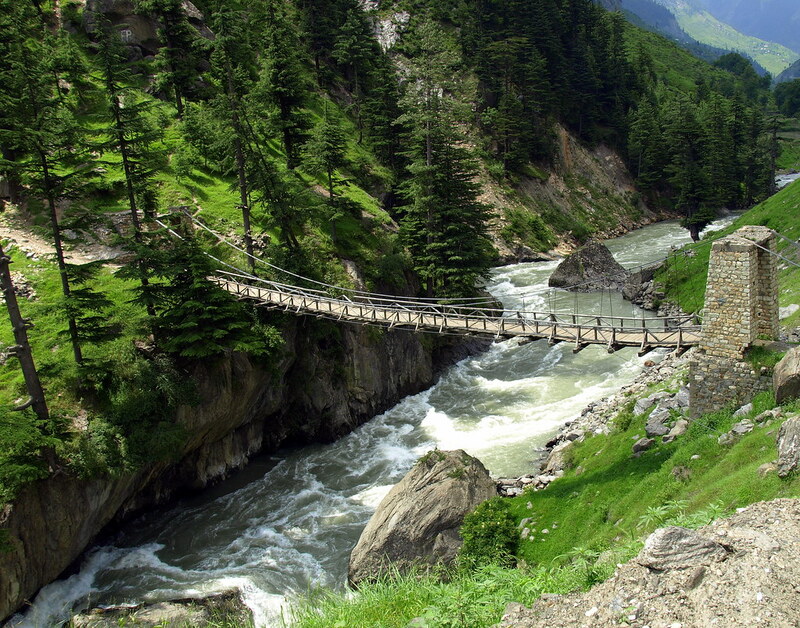 Bridge to Ishkoman in Ghizar Valley, Pakistan is like a bridge in paradise. 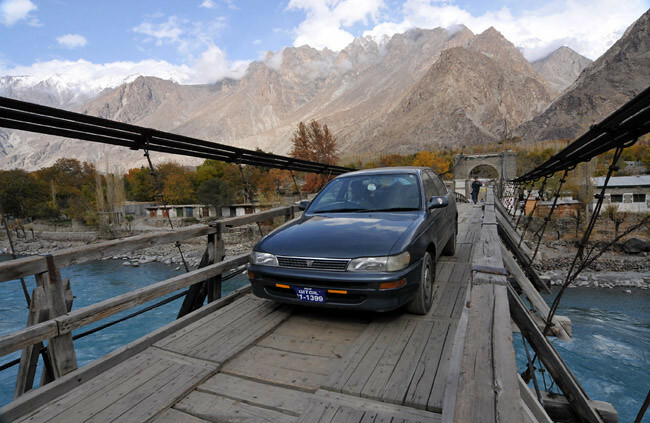 This is one of the longest suspension bridges and connects Gilgit to Danyore. The Old Bridge of Danyor was constructed over a half century ago and still stands proud today. 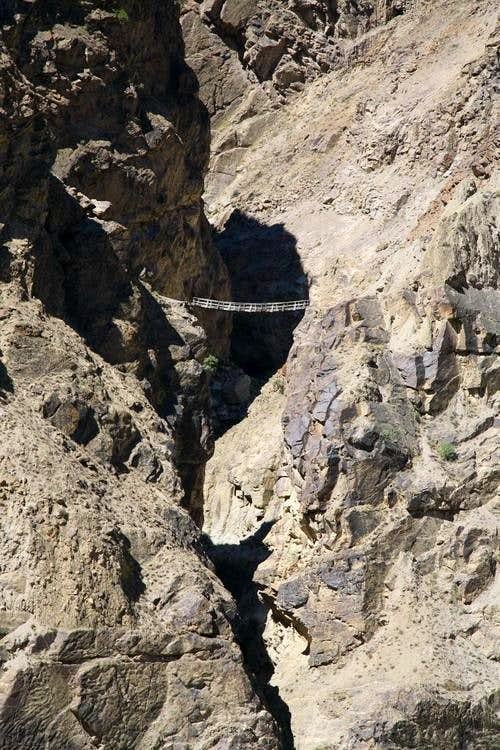 This bridge is located in Gilgit-Baltistan and leads to Deosai National Park in Skardu. 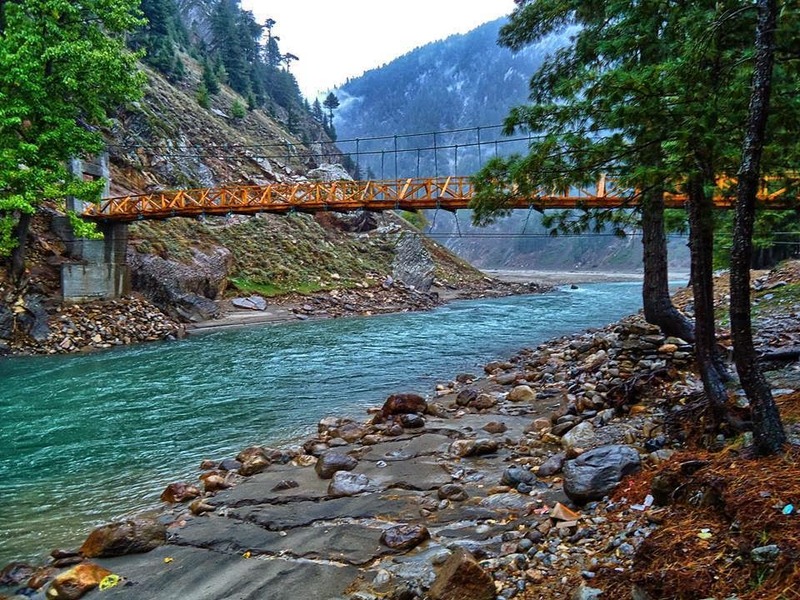 Made of wood and iron, the Alam Bridge bridge provides a vital link between Gilgit and Baltistan. This tremendous creation is located near the border of Pakistan and Azad Kashmir. Hussaini Hanging bridge is not only awesomely amazing but also the most dangerous bridge of World. 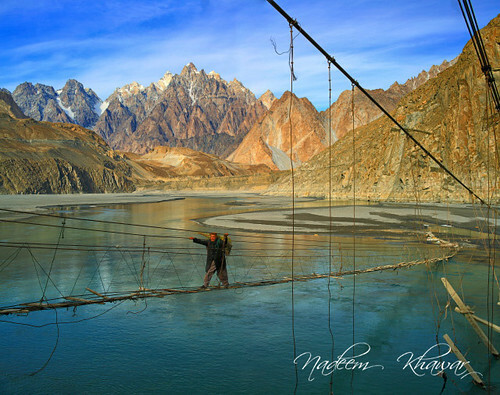 It is made by Wooden Planks and is situated in the Upper Hunza to cross the Borit Lake. Incredibly dangerous and equally breathtaking. The river below (River Kunhar) is so scary that it is strongly recommended to not look down while crossing the bridge. Ambor Bridge is next to Dhanni in Muzaffarabad. Ambor is a populated place and the bridge has major sociological significance for the town. 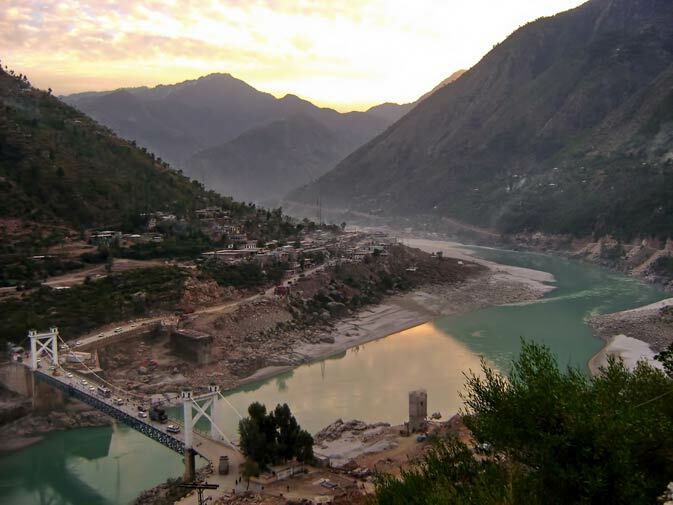 Thakot Bridge at River Indus is next to Shotar, located in Khyber Pakhtunkhwa, Pakistan. 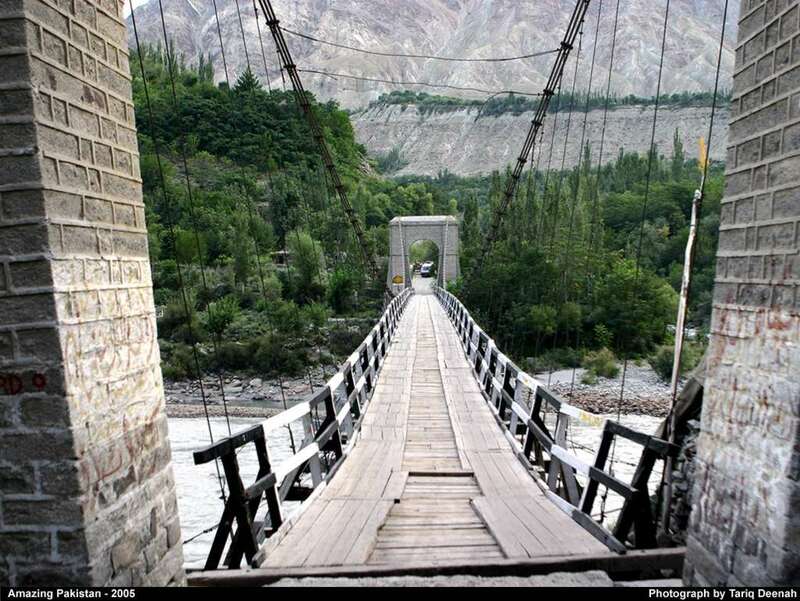 The bridge is located on Ghizer River, which is known as Gilgit River in Ghizer valley. Colorful, dangerous and incredibly beautiful. Suspension bridge at Gilgit river at Buber Village of Ghizer valley. Steep fall and a rickety bridge. Yep, that is a hanging bridge over a raging river. Sialkot is known for its fog. Try traversing a hanging bridge when you can’t see two feet in front of you. Writer, creator and a fan of life. Also enjoy daydreaming and pulling things from behind peoples' ears.